BD217 Transmitter 1951 - 1955 Transmitter, VHF, 85-100Mc/s, 18Kw. 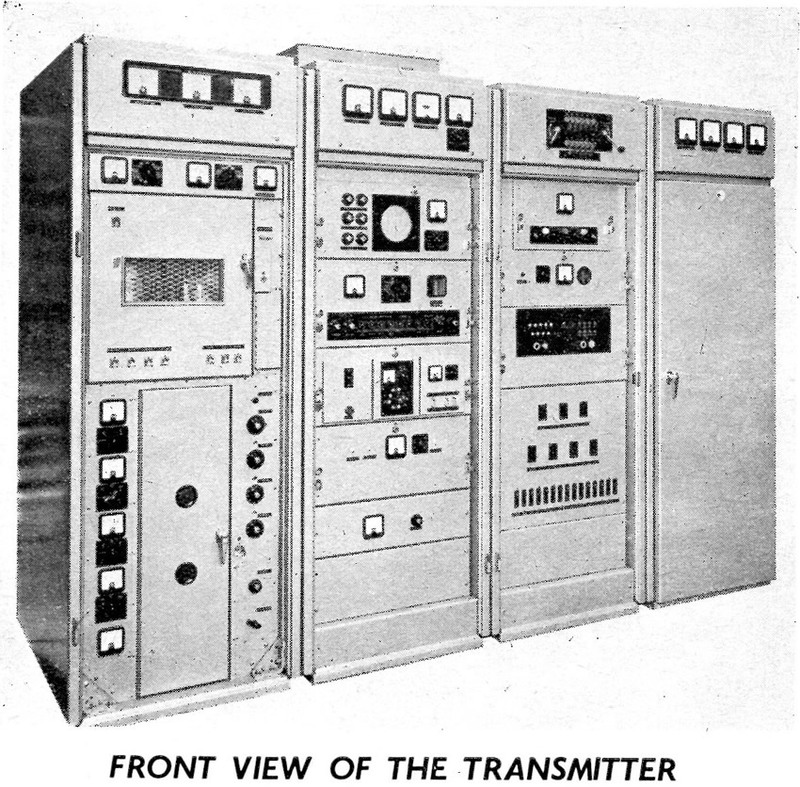 BD229 Transmitter 1964 - Transmitter, MF, 750Kw. BD260 Transmitter 1955 - 1959 Transmitter, HF, 7.5Kw. BD262 Transmitter 1955 Transmitter, HF, 20Kw. air cooled. BD263 Transmitter 1951 - 1955 Transmitter, TV sound, 40-67Mc/s, 2Kw. BD268 Transmitter 1959 - 1964 Transmitter, HF, 10Kw. BD272 Transmitter 1964 Transmitter, HF, 250Kw. BD301 Transmitter 1951 Transmitter, VHF, FM, 88-108Mc/s, 250w. BD301C Transmitter 1955 Transmitter, VHF, FM, 88-108Mc/s, 5Kw. BD302 Transmitter 1951 Transmitter, VHF, FM, 88-108Mc/s, 1Kw. BD303 Transmitter 1951 Transmitter, VHF, FM, 88-108Mc/s, 3Kw. BD304 Transmitter 1951 Transmitter, TV sound, 174-216Mc/s, 250W. BD305 Transmitter 1955 Transmitter, TV sound, FM 170-216 Mc/s 1.5Kw. BD306 Transmitter 1951 - 1955 Transmitter, VHF, FM, 88-108Mc/s, 10Kw. 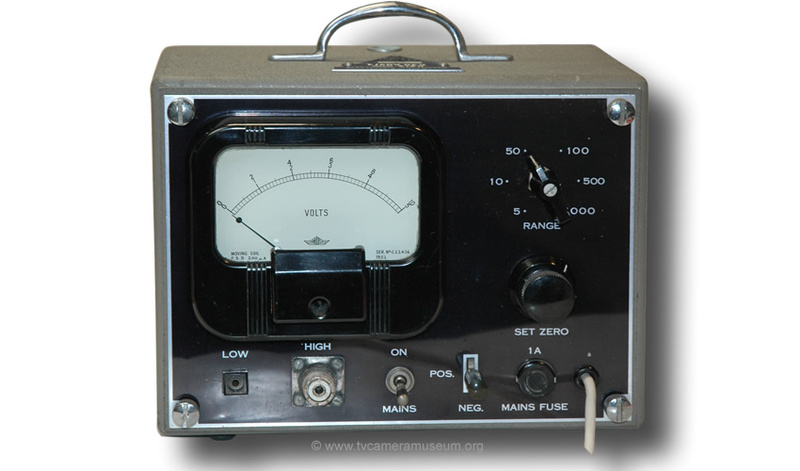 BD307 Transmitter 1951 - 1955 Transmitter, VHF, FM, 88-108Mc/s, 25Kw. BD309A Transmitter 1955 - 1959 Transmitter, TV sound, FM, 42-88Mc/s. 3Kw. BD310 Transmitter 1951 - 1959 Transmitter, TV sound, 42-88Mc/s, 250W. BD311 1955 Transmitter, TV sound, FM 170-216 Mc/s 2.5Kw. BD321 Transmitter 1959 - 1961 Transmitter, VHF, FM, 88-108Mc/s, 5Kw. BD324 Transmitter 1959 - 1964 Transmitter, VHF, FM, 42-88Mc/s, 1Kw. TV sound. BD325A Transmitter 1959 Transmitter, VHF, FM, 42-88Mc/s, 5Kw. TV sound. BD328 Translator 1961 - 1964 Band 2 FM translator, 10W., valve. BD329 Transmitter 1964 Band 2 FM transmitter, 1Kw., valve. BD330 Transmitter 1964 Band 2 FM transmitter, 5Kw., valve. BD333 Transmitter 1964 Band 3 FM sound transmitter, 2 to 5Kw. BD352 Transmitter 1951 - 1959 Transmitter, television, 42-86Mc/s, 5Kw. BD353 Transmitter 1951 - 1955 Transmitter, television, 42-60Mc/s, 50Kw. BD354 Transmitter 1951 - 1959 Transmitter, television, 174-216Mc/s, 500W. BD356 Transmitter 1951 - 1959 Transmitter, television, 42-88Mc/s, 500W. BD357 Transmitter 1951 - 1959 Transmitter, television, 174-216Mc/s, 6Kw. BD360 Amplifier 1959 Amplifier, 10Kw. BD361A Transmitter 1959 Transmitter, television, 42-88Mc/s, 18Kw. BD362 Transmitter 1955 Transmitter, television, 174-216Mc/s, 7.5Kw. BD366A, C Transmitter 1959 (C 1964) Transmitter, television, 174-216Mc/s, 4Kw. BD368A Transmitter 1961 - 1964 Band 1 & 3 television transmitters, 3 or 50W. BD369 Amplifier 1959 - 1964 Amplifier, band III, 15-18Kw. BD371 Transmitter c. 1964 Television TX band 1, 10Kw. BD372A Transmitter 1964 Television TX band 1, 5Kw. BD373 Portable case MkII style 1951 - 1955 Mobile transmitter, television, 30W. BD375 Amplifier 1964 Band 1 television amplifier 500W. BD377 Amplifier 1964 Band 3 television amplifier 500W. BD378 Transmitter 1964 Band 4/5 Television transmitter, 25Kw. BD380 Transmitter 1964 Band 4/5 Television transmitter, 10Kw. BD381 Transmitter 1964 Band 4/5 Television transmitter, 5Kw. BD401 1951 - 1955 Microwave TV link, valve, 7Ghz. BD415 1951 - 1955 Microwave sound link, valve, 4.5Ghz. BD421 1961 SHF vision & sound link 6.4Ghz. BD435 Aerial 1964 Aerial UHF TV. BD451 1951 - 1959 Transmitter crystal drive unit. BD454 1955 - 1961 HF. Drive unit, valve. BD456 1955 - 1961 HF. Drive unit, valve. BD461 1964 F.M.Q drive unit, valve. BD463 1964 Band 4/5 TV drive transmitter, 10 or 75W. BD476 1951 - 1955 Transmitter, master synchronized drive unit. BD477 1951 - 1964 FMQ Drive Unit. BD478 1955 - 1961 LF/MF Drive unit, valve. BD479 1951 - 1955 Transmitter, slave synchronized drive unit. BD480 1951 - 1955 Transmitter, VHF crystal drive unit. BD502 1951 - Disc reproducer, light duty, 3 speed. BD503 1951 - Disc reproducer, heavy duty, 2 speed. BD503B 1955 Disc reproducer, heavy duty, 3 speed. BD507 for AXBT 1951 - Desk microphone stand, 3.5 to 9.5 inches. BD508 for AXBT 1951 - Studio microphone stand 42 to 72 inches. BD510 4 channel Mixer 1951 - 1955 Portable amplifier and mixer, sound, valve. BD512 BBC/Marconi 1951 - Lip microphone, ribbon, for commentator. BD517C Plug in unit Amplifier 1961 Microphone & G.P. amplifier, valve?? BD527 8 inch LS. 1951 - 1962 Loudspeaker monitor, portable, valve, 2 watts. BD529 Plug in unit 1961 - 1964 VU meter, transistor, plug in module. BD536 1951 Sound control desk, valve. BD537 rack unit 1951 - 1959 Feed meter panel. BD538 rack unit Amplifier 1951 - 1959 Line amplifier and jackfield. BD542 rack unit 1951 - 1955 Trap valve amplifier ( 2 x BD522) and jackfield. BD542A rack unit 1955 - 1959 Trap valve amplifier and jackfield. BD550A rack unit 1955 - 1959 AF oscillator assembly. BD555 4 channel Mixer 1951 - 4 channel mixer panel, passive. BD557A rack unit 1959 Variable line equalizer panel. BD593A & B Free standing console 1958 Disc reproducer 12 inch, 33-1/3, 45, 78RPM. BD604 MkIII style 1953 - 1959 Outside Broadcast Van, 3 camera. BD607 c.1960 Large Screen Projector, 6 x 4.5 ft.
BD619 Portable case MkIII style ~1956? TV link receiver 170-216 Mhz. BD624 BD677 MkII from 1950 Studio camera mono, IO, valve. BD625 MkII from 1950 Electronic Viewfinder for BD624, valve. BD626 MkII from 1950 Camera control chassis for BD624 camera, valve. 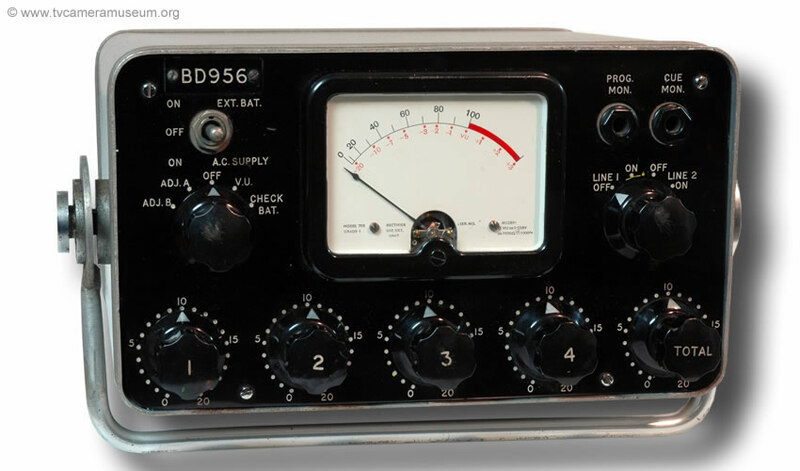 BD627 Console unit MkII 1951 - 1959 Picture & waveform monitor for BD624, valve. BD627F TF 141312 MkII - MkIII 1951 - 1959 Picture & waveform monitor for BD624, valve. BD630 Open chassis 1951 - 1959 Reg. PSU for camera 250v, 925ma focus 80ma. BD633 Console unit MkIII style 1951 - Four channel vision mixer chassis, valve. BD634 4U pan Chassis 1951 - Mains distribution panel, 9+2 outputs skts. BD637 Open chassis 1951 - 1959 Studio SPG, rack mounting, valve. BD638 Portable case MkI style 1951 - 1959 Mobile SPG, Valve, two cases. BD639 Box unit 1955 - 1961 Emergency and test signal switching unit. BD641 Open chassis 1951 - Regulated PSU 250v, 600ma., general purpose. 1950 - 1964 Test meter PSU and general purpose. It had a 0 to 150 ma range and a 0 to 15 ma range. It connected by a standard .25 inch Jack. BD647 MkII series 1951 - Production console, studio or mobile. BD648 MkII series 1951 - Engineering console, studio or mobile. BD650 Console unit 1951 - 1959 Console housing for studio use. BD651(D&E) Open chassis 1951 - 1962 Line clamp amplifier, valve. BD652 Open chassis 1951 - Vision distribution amplifier, 5 way, valve. BD653 Console unit MkIII style 1951 - 1955 Regulated PSU 250v, 500ma. for PWM BD627. BD654 Open chassis 1951 - 1964 Regulated PSU 250v, 400ma., general purpose. BD656 Large console MkII style 1959 - 1961 Master control switching equipment, see BD805. BD657 rack unit 1959 - 1964 Communications patching panel. BD658 5U Pan chassis 1955 - 1959 SPG locking unit. BD662 Desk top unit MkII series 1955 - 1959 Production talkback panel, desk mounting. BD664 7 inputs MkII? style 1959 - 1961 Vision Mixer, relay based. BD667C 1953 - 1959 Camera cable test set, for BICC Mk3 cable. BD668 Portable case MkIII style 1951 Mobile SPG, single case, valve. BD670 (D) Vinten/Marconi 1951 - 1959 (D) Pan & tilt head, friction. BD672 rack unit 1955 - 1959 SPG change over unit. BD672B rack unit 1961 SPG change over unit. BD677 BD624 MkII from 1950 Studio camera mono, IO, valve. BD678 fast pull down < 1954 Telecine flying spot camera, mono, valve. BD679 Fast pull down MkIII style 1957 - 1964 16mm. film recording channel. BD680 Free standing MkII style 1951 - 1955 16mm. Telecine equipment, I.O., valve. BD681A 1955 Crab Dolly, BD670C tripod fits. BD681 (D) Vinten/Marconi 1951 - 1959 (D) Pedestal dolly./ Hydro-pneumatic pedestal. BD681E Vinten/Marconi 1959 Spring pedestal. BD682A-F Vinten/Marconi 1951 - 1959 Small camera crane, A, B, D & F versions. BD684 MkIV style 1959 Studio camera, mono, vidicon, valve. BD687 BD808/9 MkIII c. 1953 Studio camera mono, IO, valve. BD688 Free standing 1955 Vision & sound monitor, 12" screen, mono, valve. BD689 rack unit MkIII style 1959 - 1961 Studio SPG, rack mounting, valve. BD698 1953 - 1961 Talkback amplifier, valve, 3W. to L.S. BD699 (A) Portable case 1955 - 1959 Electronic voltmeter. BD717 1959 - 1961 FM transmission monitor. BD761 Aerial 1955 - 1964 Aerial turnstile broadcast, band 3, with gain. BD773 Aerial 1955 - 1964 Aerial turnstile broadcast, with gain. BD808 BD687 camera MkIII c. 1953 - 1955 Mobile camera channel mono, IO, valve. BD809 BD687 camera MkIII c. 1953 - 1955 Studio camera channel mono, IO, valve. BD825A rack unit 2U 1950 - 1958? Switch unit, video 8 way, passive unit. 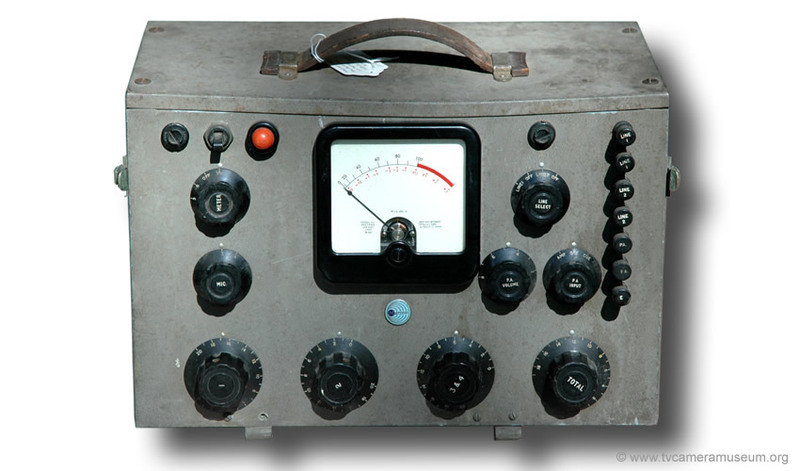 BD841M (N) 8 inputs MkIII style 1959 - 1961 Vision mixer, valve, portable unit for OB van. BD844 BD888 telecine c. 1957 Camera, mono, vidicon, valve, part BD888 TK. BD846 MkIII style 1955 - 1956 OB "TV reporting Van" (roving eye) MkIII camera. BD847 Marconi lens mount MkIII style 1953 - 1964 Diascope, holds 2 x slides with internal lamp. BD863 B3096 MkIV 1958 - 1961 Studio camera mono, IO, valve. BD864 B3095 MkIV style 1958 - 1964 Studio camera mono. vidicon, valve. BD867 Open chassis MkIV style 1959 - 1961 Gray scale generator, valve. BD870A Vinten/Marconi 1959 - 1964 Heavy duty tripod skid base. BD871 4439A V3020 MkIV style c. 1957 - 1963 CCTV Industrial, mono, vidicon, cylinder shape. BD872 1959 Optical multiplexer, part of BD888 telecine. BD873 405/525/625 MkIV style 1959 -1964 Picture (14") and waveform monitor, valve. BD875 405/625 to order 1958 - 1964 Picture monitor, colour, valve, 21 inch. BD876 405/625 to order c. 1958 Colour, large screen projector, 8 x 6ft. BD877 V3310 MkIV style 1960 - 1964 Studio camera, colour, vidicon, valve. BD878 MkIV style 1959 - 1965 14" monitor, precision, valve. BD879 405/625 1959 - 1961 Picture monitor 14" , valve, Mono, industrial. BD885 Open chassis ? - 1961 SPG automatic genlock unit. BD886 4 units in rack MkIV style 1959 - 1964 Vision distribution amplifier, valve, 5 outputs. BD889 405/525/625 1961 Picture monitor 8.5", valve, mono, industrial. BD890 Open chassis 1961 - 1964 Automatic programme switching equipment. BD893 Transductor MkIV style 1959 - 1962 Regulated PSU 250v, 900ma., general purpose. BD894 MkIV series 1961 - 1964 Slide projector, forms part of telecine channel. BD894C MkIV series 1961 - 1964 Dual slide projector with optical mixing. BD895 MkIV style 1961 14" general purpose picture monitor, valve. BD896 B3097 MkIV series c. 1961 - 1964 Caption camera mono., vidicon, valve. BD899 Portable case MkIV style 1960 Vectorscope, 5" tube, valve. BD905 Portable case MkIII style 1955 - 1959 Sound and vision receiver, valve. Band I 405line. BD908 1964 Nyquist demodulator, band 1 or 3. BD923 ??? 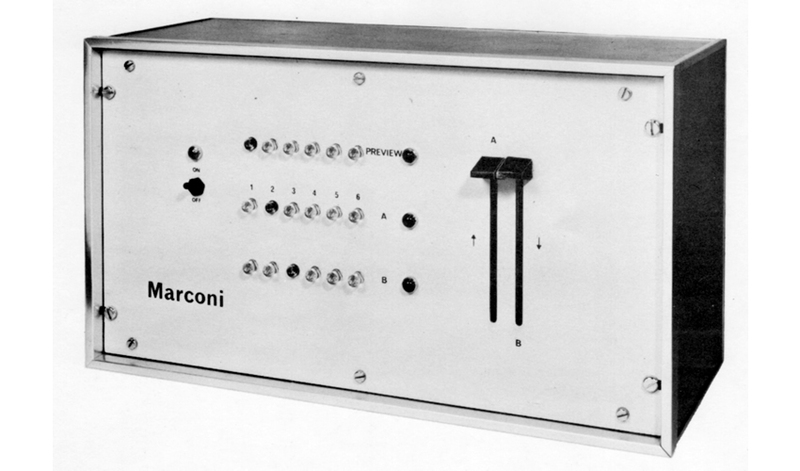 1960 - 1964 Optical multiplexer for BD922A. BD923 ??? 19" Rack unit 1962 Uniselector switching panel. BD924 Open chassis 1961 - 1964 Burst gating pulse generator, valve. BD925 Open chassis 1961 - 1964 Sync. and burst mixer, valve. BD926 Open chassis 1961 - 1964 Colourplexer, (colour coder) valve. BD927 Open chassis 1960 - 1964 Colour subcarrier frequency generator, valve. BD934 B3714 1964 Vision mixer, mobile, transistor, 7 inputs. BD937 1964 Vision switcher mixer, master control 12 inputs. BD940 rack unit 1964 Relay and transistor power supply. BD954 Plug in unit 1959 Audio amplifier range. BD956 (B) 4 channel Mixer 1961 - 1964 OB. Sound mixer, transistor, portable. BD959 rack unit 1959 Sound programme input panel, valve. BD959A (B) rack unit 1961 - 1962 Sound programme input panel, valve. BD964 35 channel 1961 - 1964 Television sound control desk "Major", Valve? BD965 26 channel 1961 - 1964 Television sound control desk "Medium", Valve? BD966 13 channel 1961 - 1964 Television sound control desk "Minor" , Valve? BD967 Plug in module 1961 - 1964 Sound distribution amplifier, 3 units in frame, trans. BD968 Modular units 1961 Sound console, modular, transistor, desk top. BD970 4 Channel Mixer 1962-4 Sound console, transistor. B1336 4U module MkV style Duel loudspeaker amplifier, transitor, 2 watts. B1601 BD953 console 1966 Disc reproducer, 12 "
B1756 1966 PPM unit, transistor, 24volt supply. B1757 1966 PPM unit, transistor, 12 volt supply. B3095 BD864 1958-1964 Studio mono., vidicon, valve. B3096 BD863 MkIV ~ 1966 Studio mono., I.O. valve. B3100 Camera chain MkV 1965 - 1976 Studio mono., I.O. transistor. B3101 MkV 1965 - 1976 MkV camera head. B3124 MkVI < 1966 Studio mono., Plumbicon, transistor. B3205 MkVII 1965 Complete MkVII camera channel. B3206 MkVII 1965 Colour camera head, 4 x Plumbicons, transistor. B3207 MkVII 1965 CCU for B3205 MkVII camera channel, transistor. B3215 Camera chain MkVIII (B) 1970 - 1976 (B) Studio colour, Plumbicon, IC. B3218 MkVIII 1970 - 1976 Power supply unit for B3215 camera channel. B3265 MkIX 1978 - 1981 Studio colour, Plumbicon, IC. MkIXB c.1982 Studio colour, Plumbicon, IC + Microprocessor. B3270 MkIXp 1978 - 1981 Portable ENG colour, Plumbicon, IC. B3295 (SK90) c. 1980 - 1981? Portable ENG colour, Plumbicon, IC. B3370 4U rack unit MkV style 1966 Colour coder, transistor. B3400 Telecine c. 1969 16mm. Telecine equipment, monochrome? B3401 Telecine c. 1965 Simplex telecine, 35mm & 16mm. B3408 Rack frame MkVIII style 3U rack that takes up to 10 modules. B3410 Lg. Console MkIX series 1982 Telecine, colour, line array CCD, IC. B3430 c. 1966 35mm projector. B3609 1 & 3U rack unit MkIX + V style 1967 - 1981 Monosync pulse distribution system, I.C. B3610 3u module MkV style 1968 - 1981 Subcarrier phase shifter, transistor. B3713 1965 Studio vision mixer, transistor, 14 inputs. B3714 BD934 Portable case 1966 Mobile vision mixer, transistor, 7 inputs. B3720 12 inputs. MkVIII style 1965 - 1966 Master switching system, semi automatic. B3723 portable case 1966 4 channel vision mixer, self contained. B3727 MkV style c. 1970 - 1972 Automatic presentation mixer. B3730 MkVIII style c. 1972 - 1981 modular vision mixer system, I.C. B3731 Part of B3730 1U rack unit 1975 - 1981 8 x 1 switching unit, I.C. B3733 Part of B3730 1975 - 1981 Mix effects amplifier, I.C. B3734 Part of B3730 1976 - 1981 Digital pattern generator, I.C. B3760 1U rack unit MkVIII style c. 1972 - 1981 8 x 1 video matrix, local or remote selection. B4002 ?? Plug in module Isep Frame 1966 Video distribution amplifier, . B4011 5U rack unit MkVII style c. 1972 Line Clamp amplifier, transistor, 405-525-625, col.
B4013 1U rack unit MkIX style 1981 Equalizing clamped amplifier, I.C. B4303 1981 Equipment 19" bay 44U. B4624 2U rack unit 1981 VTR monitoring unit for MBR1 & 2, VPR2. B6001 1966 Transistorized drive unit, M.F. B6002 8U 1965 - 1976 Drive unit, valve, M.F. B6003 2U 1976 C.W. Drive unit M.F. B6004 7U 1973 Modulated MF drive unit, 20W AM, solid state. B6034 Transmitter c. 1978 - 1981 50kw. M.F TX, developed from the earlier B6031. B6401 Transmitter 1966 Band II F.M 10w. translator TX. B6450 Transmitter 1966 UHF TV translator TX, transistor. B7301 Transmitter c. 1970 25Kw. television TX band IV/V, klystron. B7309 Transmitter c. 1970 - 1081 40Kw. television TX band IV/V, klystron. B7311 Transmitter c. 1971 5/10w. television TX band IV/V, solid state. B7315 Transmitter c. 1970 10Kw. television TX band IV/V, klystron. B7318 Transmitter c. 1971 55/40Kw. television TX band IV/V, klystron. B7433 Transmitter c. 1978 - 1981 10kw. television TX band III, TH361 tetrode. B8052/3 Transmitter 1975 - 1981 Transmitter dummy load. liquid cooled. B8161 Transmitter 1975 - 1981 Television automatic change over equipment. B8233 Aerial 1975 - 1981 Band III dipole panel antenna. B8241 Aerial c. 1970 1975 UHF TV aerial, circular radiation pattern. TA111302 MkI from 1946 Studio camera, mono, I.O., valve. Type 2137 Portable case Mk III series 1953 - 1959 case for 4 focus supplies Type 1881. Type 2634 1962 Cable equalizer unit, video. Type 3086 Plug in module 1962 Microphone/Programme amplifier. valve. Type 4302A MkIV series portable housing for BD873 PWM. Type 4344A Remote control panel for BD864 camera. Type 4582 Plug in module 1962 Tone source unit. valve. Type 4585 Plug in module 1962 Isolation amplifier, 600ohms output. valve. Type 4642 1962 Variable equalizer, telephone lines, sound. Type 5097 1962 Monitoring amplifier, 2W. Type 5110 Plug in module 1962 Microphone/Programme amplifier. var gain. valve. Type 5467A 1962 Subcarrier Phase Shifter. valve. Type 6288 Plug in module 1962 PPM unit. valve. Type 6289 Plug in module 1962 VU Meter unit. valve. V0010 c. 1960 Vidicon Telecine Equipment, V3020 camera. V0099 < 1982 CCTV, ruggedised, based on V335? V322A 1965 - 1969 Caption, CCTV, mono, vidicon, transistor. V322B + Viewfinder 1965 - 1969 Studio, mono, vidicon, transistor. 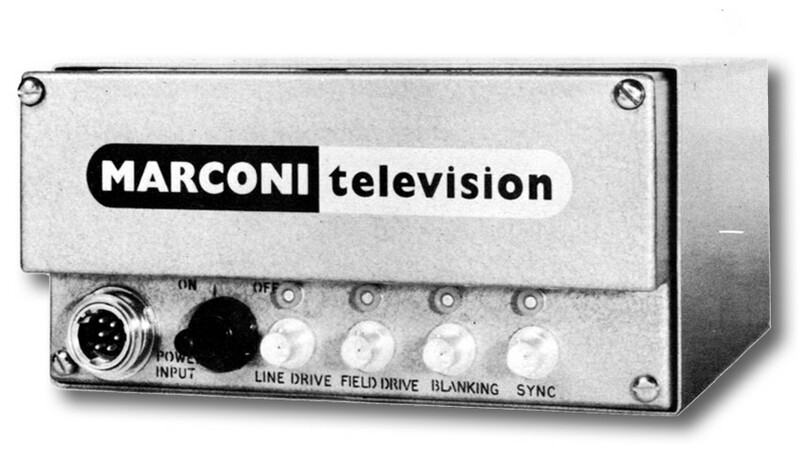 V327 V3271 Marconi-Elliott 1974 High Quality CCTV, mono, vidicon, IC. V330 V3301/3V3302 Mil. spec. c. 1979 Ruggedized Industrial CCTV, mono, vidicon, IC. V3020 BD871 4439A MkIV style c. 1959 - 1961 CCTV Industrial, mono, vidicon, cylinder shape. V3310 BD877 1961 - 1966 Studio colour, vidicon, valve. V3610 small case 1964 SPG, industrial, transistor. V3630 4U rack 1965 SPG, industrial, transistor. V4710 6 way. 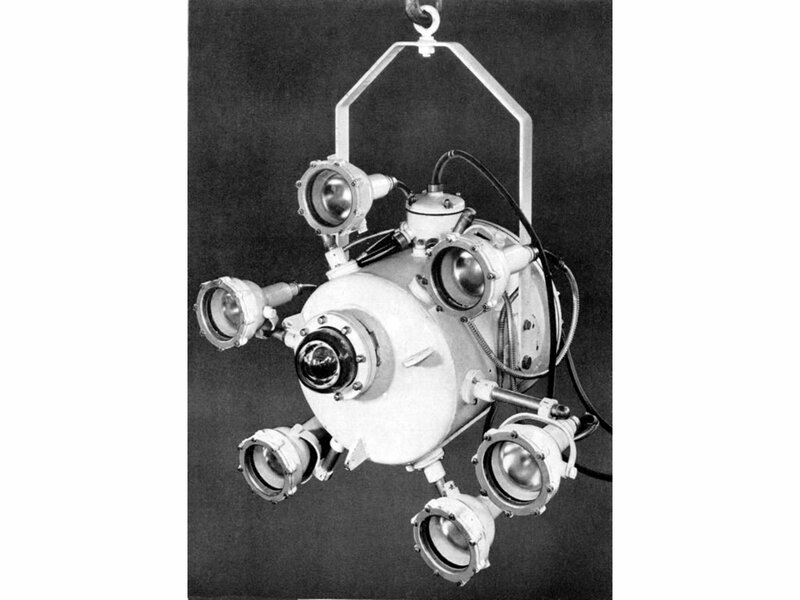 1964 - 1966 Camera switching unit, valve. V4720 25 way 1964 Camera switching unit, valve. V6112 1964 Picture monitor, 14 inch, valve. V6113 1965 Picture monitor, 14 inch, valve. V6120 1964 Picture monitor, 8.5 inch. V6230 (RKB14) 1968 14" Monitor, transistor, Conrack? V6231 (RNC9) 1968 9" Monitor, transistor, Conrack? Notes:-(1) Dates are tricky! Do you take the design date, the date "marketing" announce it (often a prototype), or the date entered service? It's all a bit vague. "Open or Pan chassis" means the unit is rack mounting and the Pan Chassis is vertical with the valves pointing forwards. "Console unit" means the unit fits one of the console cabinets (BD628 typical) with the curved corners and pull out slides. "Style" means the construction is of that "Family construction style", there was, however, some style overlap. In addition to the numbers listed above there were a great many items with just a four digit number like 4696 which turns out to be a "Cue lamp" on a desk stand. (2) The BBC ordered 75 of the BD850 21" monochrome picture monitor for use in the new TVC at White City. (3) Designed and manufactured by Compagnie General de as CP102 and sold under licence. "I.O." 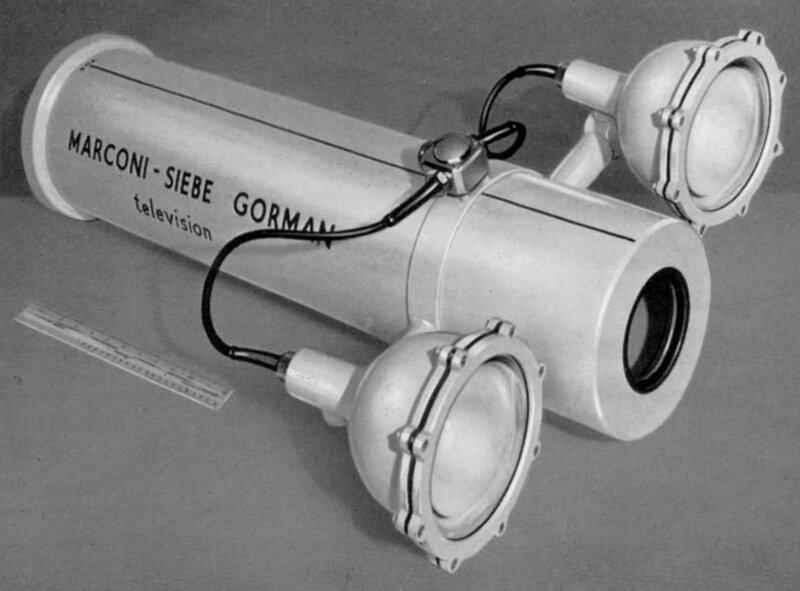 is the abbreviation for Image Orthicon, a large camera tube in 3 inch and 4.5 inch sizes. "Plumbicon" is a registered trade mark of Philips, as well as being a Lead Oxide camera tube!